A pupil of Kunisada who called himself Sadashige during his master’s use of the go Kunisada. 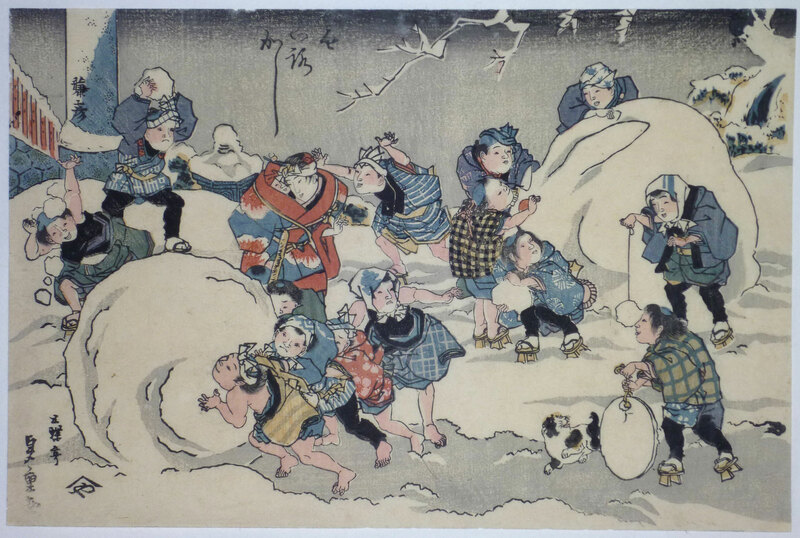 A charming print I have not seen before showing numerous children playing in the snow. Building a snow rabbit, a large snowball, throwing snowballs and carrying ice. A mother carrying a child looks on. An aiban print published by Fujiokaya Hikotaro (?). Fine impression. Very good colour and condition. Signed Ichiyusai Sadashige ga.